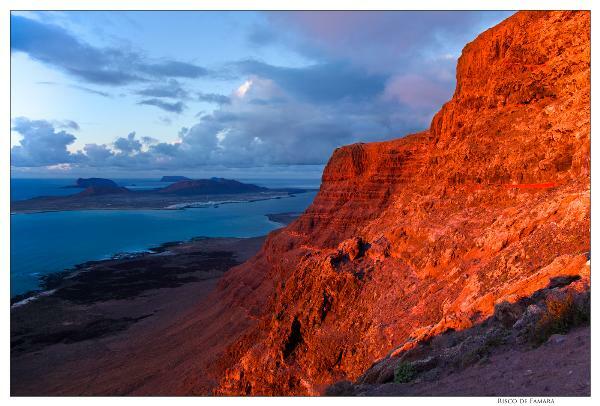 It is the furthest north island of the Canary Islands archipelago. Relatively flat, of volcanic origins, with extensive lava fields and a profusion of craters in the National Park of Timanfaya. It also includes a marine area with shallow waters that is home to an abundance of biological richness. It stands out for its unique vegetation especially adapted to its dry climate, its high number of endemisms and its truly exceptional landscape.